This article is about culinary, medicinal, and spiritual herbs. For the botanical usage, see herbaceous plant. For other uses, see Herb (disambiguation). In general use, herbs are plants with savory or aromatic properties that are used for flavoring and garnishing food, medicinal purposes, or for fragrances; excluding vegetables and other plants consumed for macronutrients. Culinary use typically distinguishes herbs from spices. Herbs generally refers to the leafy green or flowering parts of a plant (either fresh or dried), while spices are usually dried and produced from other parts of the plant, including seeds, bark, roots and fruits. Herbs have a variety of uses including culinary, medicinal, and in some cases, spiritual. General usage of the term "herb" differs between culinary herbs and medicinal herbs; in medicinal or spiritual use, any parts of the plant might be considered as "herbs", including leaves, roots, flowers, seeds, root bark, inner bark (and cambium), resin and pericarp. The word "herb" is pronounced /hɜːrb/ in Commonwealth English, but /ɜːrb/ is common among North American English speakers and those from other regions where h-dropping occurs. In botany, the word "herb" is used as a synonym for "herbaceous plant". "What is a herb?" "The friend of physicians and the praise of cooks." Herb Garden in Derbyshire, England, originally planted in the 1870s by Lady Louisa Egerton, recreated by the National Trust, largely following the original design. In botany, the term herb refers to a herbaceous plant, defined as a small, seed-bearing plant without a woody stem in which all aerial parts (i.e. above ground) die back to the ground at the end of each growing season. Usually the term refers to perennials, although herbaceous plants can also be annuals (where the plant dies at the end of the growing season and grows back from seed next year), or biennials. This term is in contrast to shrubs and trees which possess a woody stem. Shrubs and trees are also defined in terms of size, where shrubs are less than 10 meters tall, and trees may grow over 10 meters. The word herbaceous is derived from Latin herbāceus meaning "grassy", from herba "grass, herb". Another sense of the term herb can refer to a much larger range of plants, with culinary, therapeutic or other uses. For example, some of the most commonly described herbs such as Sage, Rosemary and Lavender would be excluded from the botanical definition of a herb as they do not die down each year, and they possess woody stems. In the wider sense, herbs may be herbaceous perennials but also trees, subshrubs, shrubs, annuals, lianas, ferns, mosses, algae, lichens, and fungi. Herbalism can utilize not just stems and leaves but also fruit, roots, bark and gums. Therefore one suggested definition of a herb is a plant which is of use to humans, although this definition is problematic since it could cover a great many plants that are not commonly described as herbs. Ancient Greek philosopher Theophrastus divided the plant world into trees, shrubs and herbs. Herbs came to be considered in 3 groups, namely pot herbs (e.g. onions), sweet herbs (e.g. thyme) and salad herbs (e.g. wild celery). During the seventeenth century as selective breeding changed the plants size and flavor away from the wild plant, pot herbs began to be referred to as vegetables as they were no longer considered only suitable for the pot. Culinary herbs are distinguished from vegetables in that, like spices, they are used in small amounts and provide flavor rather than substance to food. Herbs can be perennials such as thyme, sage or lavender, biennials such as parsley, or annuals like basil. Perennial herbs can be shrubs such as rosemary, Rosmarinus officinalis, or trees such as bay laurel, Laurus nobilis – this contrasts with botanical herbs, which by definition cannot be woody plants. Some plants are used as both herbs and spices, such as dill weed and dill seed or coriander leaves and seeds. There are also some herbs, such as those in the mint family, that are used for both culinary and medicinal purposes. Emperor Charlemagne (742-814) compiled a list of 74 different herbs that were to be planted in his gardens. The connection between herbs and health is important already in the European Middle Ages--The Forme of Cury (that is, "cookery") promotes extensive use of herbs, including in salads, and claims in its preface "the assent and advisement of the masters of physic and philosophy in the King's Court". Some herbs can be infused in boiling water to make herbal teas (also termed tisanes). Typically the dried leaves, flowers or seeds are used, or fresh herbs are used. Herbal teas tend to made from aromatic herbs, may not contain tannins or caffeine, and are not typically mixed with milk. Common examples include chamomile tea, or mint tea. Herbal teas are often used as a source of relaxation or can be associated with rituals. Herbs were used in prehistoric medicine. As far back as 5000 BCE, evidence that Sumerians used herbs in medicine was inscribed on cuneiform. In 162 CE, the physician Galen was known for concocting complicated herbal remedies that contained up to 100 ingredients. Some plants contain phytochemicals that have effects on the body. There may be some effects when consumed in the small levels that typify culinary "spicing", and some herbs are toxic in larger quantities. For instance, some types of herbal extract, such as the extract of St. John's-wort (Hypericum perforatum) or of kava (Piper methysticum) can be used for medical purposes to relieve depression and stress. However, large amounts of these herbs may lead to toxic overload that may involve complications, some of a serious nature, and should be used with caution. Complications can also arise when being taken with some prescription medicines. Herbs have long been used as the basis of traditional Chinese herbal medicine, with usage dating as far back as the first century CE and far before. In India, the Ayurveda medicinal system is based on herbs. Medicinal use of herbs in Western cultures has its roots in the Hippocratic (Greek) elemental healing system, based on a quaternary elemental healing metaphor. 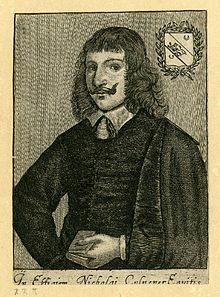 Famous herbalist of the Western tradition include Avicenna (Persian), Galen (Roman), Paracelsus (German Swiss), Culpepper (English) and the botanically inclined Eclectic physicians of 19th century/early 20th century America (John Milton Scudder, Harvey Wickes Felter, John Uri Lloyd). Modern pharmaceuticals had their origins in crude herbal medicines, and to this day, some drugs are still extracted as fractionate/isolate compounds from raw herbs and then purified to meet pharmaceutical standards. Certain herbs contain psychoactive properties that have been used for both religious and recreational purposes by humans since the early Holocene era, notably the leaves and extracts of the cannabis and coca plants. The leaves of the coca plant have been chewed by people in northern Peruvian societies for over 8,000 years, while the use of cannabis as a psychoactive substance dates back to the first century CE in China and northern Africa. The indigenous peoples of Australia developed herbal medicine based on plants that were readily available to them. The isolation of the indigenous people meant the remedies developed were for far less serious diseases, this was from not contracting western illnesses. Herbs such as river mint, wattle and eucalyptus were used for coughs, diarrhea, fever and headaches. Herbs are used in many religions. During the monastic era, monks would cultivate herbs alongside vegetables, while others would be set aside in medicinal herb garden for specific purposes. For example, myrrh (Commiphora myrrha) and frankincense (Boswellia species) in Hellenistic religion, the nine herbs charm in Anglo-Saxon paganism, neem (Azadirachta indica) leaves, bael (Aegele marmelos) leaves, holy basil or tulsi (Ocimum tenuiflorum), turmeric or "haldi" (Curcuma longa), cannabis in Hinduism, and white sage in Wicca. Rastafari also consider cannabis to be a holy plant. Siberian shamans also used herbs for spiritual purposes. Plants may be used to induce spiritual experiences for rites of passage, such as vision quests in some Native American cultures. The Cherokee Native Americans use both white sage and cedar for spiritual cleansing and smudging. Originally there was always doubt in ancient societies, especially in the sceptical medium of western traditions, as to the efficacity of herbal medicines. The use of herbal cosmetics dates back to around six centuries ago in the European and Western countries. Mixtures and pastes were often concocted to whiten the face. During the 1940s, herbal cosmetics took a turn with the emerging red lipstick color, with every year gaining a more intense red. Herbal cosmetics come in many forms, such as face creams, scrubs, lipstick, natural fragrances, powders, body oils, deodorants and sunscreens. They activate through the epithelium of sebaceous glands to make the skin more supple. Ayurvedic oils are widely used in India, prized for their natural health-giving properties. One method and perhaps the best, used to extract natural oils from herbs to make lipstick is partition chromatography. The process involves separation in watery solution, and then the injection of colour under pressure. Strewing herbs are scattered (strewn) over the floors of dwelling places and other buildings. Such plants usually have fragrant or astringent smells, and many also serve as insecticides (e.g. to repel fleas) or disinfectants. For example, meadowsweet was sometimes strewn across floors in the middle ages because of its sweet smell. ^ "Herb". Cambridge Advanced Learners' Dictionary & Thesaurus. Cambridge University Press. ^ a b Freeman, Margaret B. (1943). Herbs for the Medieval Household, for Cooking, Healing and Divers uses. New York: The Metropolitan Museum of Art. pp. ix–x. ^ a b c d e f g h The Royal Horticultural Society encyclopedia of gardening (2nd ed.). Dorling Kindersley. pp. 404, 679. ISBN 9781405303538. ^ a b c Allaby, Michael (2012). A Dictionary of Plant Sciences. Oxford University Press. ISBN 9780191079030. ^ a b c d e f g h Stuart, Malcolm (1989). The Encyclopedia of herbs and herbalism. Crescent Books. p. 7. ISBN 978-0517353264. ^ Oxford dictionary of English (3rd ed.). Oxford University Press. 2010. p. 819. ISBN 9780199571123. ^ a b c d e f g h i j k l m Bown, Deni (1995). Encyclopedia of herbs & their uses. Dorling Kindersley. pp. 10, 11. ISBN 978-0751302035. ^ a b c d Bremness, Lesley. The complete book of herbs. Viking Studio Books. p. 8. ISBN 9780140238020. ^ Small, E.; National Research Council Canada (2006). Culinary Herbs. NRC Research Press. p. 1. ISBN 978-0-660-19073-0. Retrieved 9 October 2018. ^ Wrensch, Ruth D. (1992). The Essence of Herbs. University Press of Mississippi. p. 9. ^ a b Tapsell LC, Hemphill I, Cobiac L, Sullivan DR, Fenech M, Patch CS, Roodenrys S, Keogh JB, Clifton PM, Williams PG, Fazio VA, Inge KE (2006). "Health benefits of herbs and spices: The past, the present, the future". Medical Journal of Australia. 185 (4): S1–S24. ^ Adele G Dawson (2000). Herbs, Partners in Life: Healing, Gardening and Cooking with Wild Plants. Bear & Co. pp. 5–6. ^ Dillehay T, Rossen J, Ugent D, Karathanasis A, Vásquez V, Netherly P (2010). "Early Holocene coca chewing in northern Peru". Antiquity. 84 (326): 939–953. doi:10.1017/S0003598X00067004. ^ Ernest Abel (1980). Marihuana: The First Twelve Thousand Years (PDF). New York: Springer. ISBN 978-0-306-40496-2. Retrieved 2018-07-25. ^ Cooper, Guy; Taylor, Gordon I. (1986). English Herb Garden. Random House. ^ Panda, H. (2015). Herbal Cosmetics Handbook (3rd ed.). Asia-Pacific Business Press. This page was last edited on 18 April 2019, at 17:26 (UTC).